The winning numbers for Saturday's massive Powerball jackpot have been announced. Did you win? 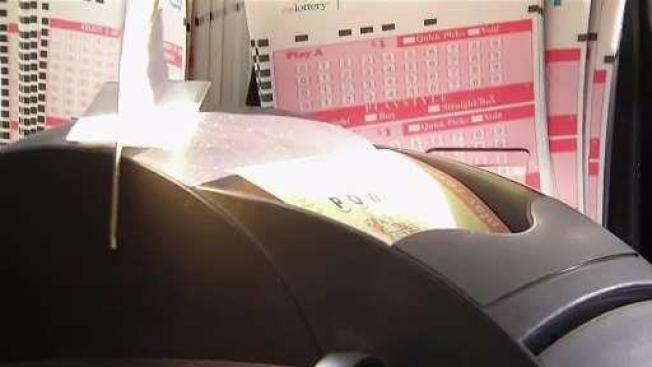 It's been a billion-dollar lottery weekend after a lone Powerball ticket sold in New Hampshire matched all six numbers and will claim a nearly $560 million jackpot, one day after another single ticket sold in Florida nabbed a $450 million Mega Millions grand prize. Since Reeds Ferry Market opened at 5:30 a.m. Sunday, dozens of excited regulars have stopped by the small, independent convenience store in New Hampshire that sold the winning Powerball ticket to congratulate the owner and chat about the win, said store owner Sam Safa. He said he doesn't know the identity of the winner, but hopes one of the regulars from the over 100-year-old store in Merrimack, about 25 miles (40 kilometers) south of Concord, won the nation's seventh-largest lottery jackpot. "I'm very excited and overwhelmed," said Safa. He said that by selling the ticket it felt like he himself had won. The store will receive a $75,000 bonus for selling the winning ticket. The winning Powerball numbers drawn Saturday night were 12-29-30-33-61 and Powerball 26. The initial jackpot was estimated at $570 million, but the actual jackpot at the time of the drawing was the lesser amount, $559.7 million, New Hampshire Lottery Spokeswoman Maura McCann said Sunday. The Florida Lottery says the winning Mega Millions ticket from Friday night's drawing was bought at a 7-Eleven convenience store in Port Richey. The retailer will receive a $100,000 bonus for selling the ticket. The identity of that winner also had not yet been revealed. The winning numbers to claim the Mega Millions jackpot were 28-30-39-59-70-10. The jackpots refer to the annuity options for both games, in which payments are made over 29 years. Most winners opt for cash options, which would be $281 million for Mega Millions and $358.5 million for Powerball. The odds of winning the Mega Millions jackpot are one in 302.5 million. Powerball odds are one in 292.2 million.